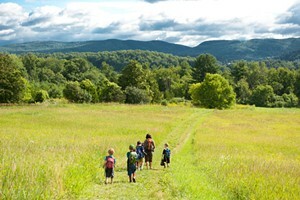 Outdoor Ed | The Kids Beat | Kids VT - small people, big ideas! Preschoolers will get both nature and nurture this fall through a new Willowell Foundation program in Monkton. The new Wren's Nest preschool is modeled on Willowell's outdoor high school, the Walden Project. Wren's Nest launches this fall as a one-day-a-week pilot taught by Bristol native Kathryn McEachen. 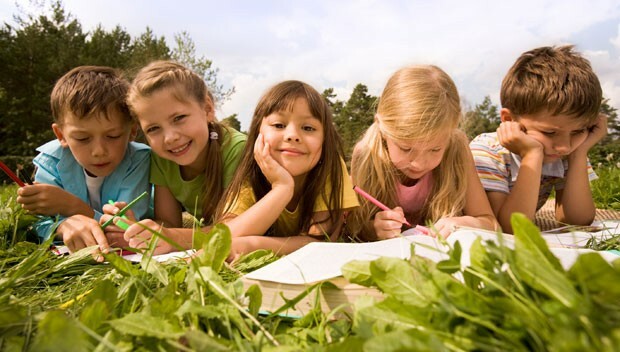 Students will spend as much time outside as possible, using the outdoors a classroom. "Nature provides a lot of great learning opportunities," she explains. McEachen trained at the Wilderness Awareness School in Washington and says she has seen amazing transformations in kids who get outdoors; being outside boosts both their confidence and joyfulness. What does having a "holistic, sensory-based approach" mean practically? McEachen is planning activities such as tracking animals, making natural dyes, building shelters and cooking outdoors. The goal, she says, is teaching primitive skills at a preschool level. Wren's Nest Preschool Program: Classes begin September 15, $35 per day. Info, 453-6159, willowell.org.